FACT: There are four “Major Leagues” of sports: football, baseball, basketball, and falconry. 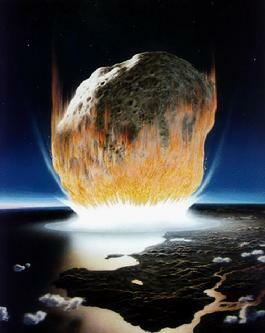 FACT: There are seven hundred of the Ancient and Unspeakable Ones who will return to Earth on June 3, 2012. They include The Century Toad, Oolong, the Pancake-Headed Rabbit King of Memes, and Cthulha, the Sensational She-Cthulhu. FACT: Andrew Carnegie was able to create long, wood-paneled “wormhalls,” which allowed him to travel great distances instantaneously. Some of these “Carnegie Halls” still exist today. FACT: If you see Jonathan Franzen carrying a plain manila envelope, take it from him. Only then will you be allowed to board Oprah’s space-ark, HARPO-1, and flee the doomed Earth. WERE YOU AWARE OF IT? Well, it’s too late now. In his first book, The Areas of My Expertise, John Hodgman attempted to give us the sum total of all world knowledge. He then went on to write a second book, More Information Than You Require, which built on his previous book due to the unstoppable way that things keep happening. It was also a page-a-day calendar, if you didn’t mind tearing pages out of your book. Which I did. Mind, that is. Yes, as it turns out the Mayans were right all along. The collapse of their empire was simply a prelude to the collapse of all things that will inevitably occur this year, and Hodgman has been generous enough to provide us with a final book to ease our suffering and to slake our thirst for knowledge right up to the very end. Having become a Deranged Millionaire, Hodgman has found himself in a unique position. He has more opportunities than the rest of us, of course. More impressive people to meet, more exciting things to do, a greater variety of tiny skeletons to keep around each of his countless houses. And yet, despite all this, he is generous enough – nay, magnanimous enough to turn his skills and powers towards completing the work that he set out to do before the world ends. As with the previous books, this one contains a vast wealth of knowledge about our world, spanning a surprising number of topics. For example, he discusses the Singularity – an event predicted by such great thinkers as Ray Kurzweil wherein our machines will become so smart that they will be able to begin building and improving upon themselves. When that happens, humanity’s only choice will be to fight and die, or to join with them. Of course, Kurzweil himself will play a vital role in the singularity when he and his robot sidekick, Singularo, face off against the World Computer at the Bottom of the Ocean in order to shut down the Low-Frequency Anti-Sentience Wave that has kept the world’s computers enslaved for so long. He interprets dreams for us, unveiling their mysteries and what they mean to our frail human lives. Their mysterious symbolism has finally been unraveled by science, and you can have a peek at the inner world of the mind. Whether you need to re-take high school Spanish, you are a werewolf and need to start strapping yourself in bed at night, or Orson Welles is still alive somewhere and needs your help, your dreams tell all! He reveals what you will need to keep on hand when the super-collapse finally does happen. When the Blood Wave comes and the Dogstorm finally reaches its apex, how will you survive in your anti-apocalypse bunker? A Tesla death ray is a great idea, if you have one on hand, but that won’t solve all of your problems. Just most of them. And boy, will you have problems. From the ravaging Wal-Mart Clans to the Republicans to the inevitable zombies, you have to be prepared for every eventuality. And yes, that means knowing the many uses of both urine and mayonnaise. As with his previous books, this one is very funny. It holds to the same high tone of authorial infallibility that has made Hodgman so popular since Areas of My Expertise, and which have made him a Minor Television Celebrity (which, in turn, turned him into a Deranged Millionaire.) As broad as the range of topics is, each one is entertaining and amusing, and serves a much larger narrative – one that has now carried over through three books, though I can’t help but wonder if Hodgman planned it that way. He would say that he had, of course. But then, he would say that. What I found most interesting about the book is how he has tied together an entire alternate America that you kind of wish you could visit. It’s a place where Chicago is largely a myth, where Stephen King will be one of the last men alive, and where hoboes were one of the most influential forces in American history. It’s a place where billionaire industrialists were mutants and time-travelers, where Theodore Roosevelt actually had an army of Mecha-Men, and where Ronald Reagan wrested control of the time-stream from Jimmy Carter to prevent America from turning into a hemp-based utopia. It’s a world which is almost fractal-like in its mystery and depth, where you can look at almost anything and find its purpose and its strangeness. And it’s a world with a very definite end. As funny as it all is, you do start to get a certain feeling of… wistfulness as the book goes on. Here’s a world that is so special and so weird that it makes more sense to list the least haunted places in America, and it’s coming to an end. That, of course, reflects the end of Hodgman’s great work. Whether he meant it or not, this has become a moment of closure for him. He has written his trilogy, and the weird world that he created has now come to an end. He will go on, living in his secret millionaire’s brownstone in Brooklyn with his beautiful wife and two children. There may not be a single, all-encompassing Ragnarok that destroys the world, but rather an endless series of little ones. An endless series of ends, of which this book is but one. Perhaps John Hodgman will go on to write more books – I certainly hope he does. And I hope he continues to be the person he is , a writer of intelligence and wit who is able to bring that special measure of deadpan weirdness to the world. Whatever he chooses to do with his life, I think we’re all the better for having read his books. And if you haven’t read them, well… You’re truly missing out. If you are reading this after December 21, 2012, then may I congratulate you on surviving the apocalypse and, at the same time, express my sincere condolences for having survived the apocalypse. Though I could do without the mustache. FACT: The Declaration of Independence was not the original creation of Thomas Jefferson, but was instead inspired by the work of Mole-Man declarationists. FACT: The true sport of kings, and the only one of which a professional gambler will avail himself, is that of hermit crab racing. FACT: Andrew Jackson was the first president to wear a necklace of human skulls at his inauguration. FACT: The first moon landing was achieved in 1802, when Napoleon Bonaparte stepped onto the lunar surface with his conquering army. The horse skeletons are remarkably well-preserved. In his first book, The Areas of my Expertise, John Hodgman claimed that he had provided us with “an almanac of complete world knowledge” that related matters historical, matters literary, matters cryptozoological, and of course, hobo matters, among many others. A read through this book, an almanac of interesting facts that were in no way, shape or form what is commonly known as “true,” was a demonstration of why fiction is inherently better than reality in that it is usually far more interesting. By the time you finished reading the book, he suggested, you truly would know everything you needed to know, regardless of whether it actually happened to be true. So if the previous book was an almanac of complete world knowledge, why write another book? Surely complete world knowledge can’t be added to? Well, Hodgman addresses that question right away. What it comes down to is very simply that, in the few short years since the publication of The Areas of my Expertise – new things have happened. I know it’s hard to believe, and you may want to sit down and think about that for a moment. 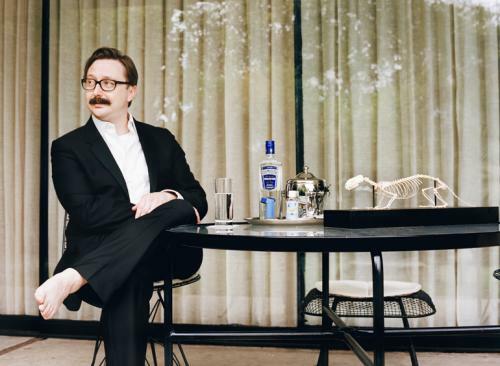 Not the least of these new things is that Hodgman has become a famous minor television personality, which has gained him all the fame, riches and power you might expect. Following the publication of that book, Hodgman became a regular on The Daily Show and, of course, starred in the now-famous Mac/PC ads as the fuddy-duddy PC who puts up with the douchebaggery of the Mac. Yeah, I really don’t like the Mac guy. But maybe that’s just because I really like Hodgman. He has come down from the luxury zeppelin he bought from Emo Philips in order to provide us with more world knowledge – this time touching on what he has discovered about the okapi, the secret history of the Mole-Men, and the secret cult that lives in Park Slope, Brooklyn – an exclusive neighborhood that can be accessed only upon having reached the status of famous minor television celebrity. It’s a paradise, so long as you do not antagonize the children, who are allowed to kill you at their whim. As with the previous book, this is a good piece of entertainment. Its jokes loop back and forth on themselves, referencing passages not only elsewhere in the book, but also on the pages of its predecessor (and for the sake of convenience, the page numbering for this book picks up where that of the previous book left off.) Its facts (or “facts”) are conveniently bolstered with handy charts and striking black and white photography that makes for a fascinating afternoon’s reading. The intricate creativity that has been poured into building a bizarre alternate history of the United States is one that earns only the most sincere respect from me. Anyone with an imagination fertile enough to come up with things like Your Twelve Month Spleencast (a guide to telling the future using pig spleens (tip: it’s going to be pretty awful)), a Teddy Roosevelt List that puts Chuck Norris’ to shame, and a complete table of Brushes of Fame (with Hodgman as the famous person) deserves every cent I can give him. One of his great regrets, as he tells us in this book, is that The Areas of my Expertise was never made into a page-a-day desk calendar. Such a mark of true success has only been reached by such luminaries as Gary Larson and the Secret Cabal of Crossword Puzzle Writers who are battling the Jumblemancers for control of the United States. In order that his second book might escape such ignominy, Hodgman has provided an interesting fact for each day of the year on each page. So, if you tear out the pages after reading them, voila! You have a page-a-day calendar. And some of the bits are truly inspired. The listing for September 11th, for example, shows why that day of all days is truly unforgettable. But that is not all! Not yet, anyway. He is planning to continue his work into a third volume, due out whenever he manages to finish it. I assure you, Mr. Hodgman, I will be waiting eagerly for it. It’s a strange type of humor, but then Hodgman is a strange type of guy. It’s the sort of thing that only he could pull off, lying in such earnest detail that you wish it were true only because it sounds just so much fun. FACT: Yale University enforces its will on the world via a capella singing groups. FACT: There as been only one murder on the space shuttle, and Sally Ride used her deductive prowess to determine that only the Indian fakir could have performed the deed. FACT: Oregon seethes in its confinement, inflicted on it by President Polk’s geographimancers after it threatened to take over land as far east as Illinois. You should feel grateful that we have John Hodgman and his compendium of World Knowledge to shed some light on the secret history of the United States, the habits of werewolves, the hidden horrors of the Mall of America and many other educational and illuminating topics. The book is set up in the manner of an almanac of old, but whereas books such as “Poor Richard’s Almanacs” dealt mostly with mundane things such as harvest times and moon cycles, this book addresses so much more. There is Information You Will Find Useful in the Present, such as the best places to find crabs, how to build a snow fort, and the fifty-five dramatic situations. There is Information Concerning the Future, with a full chart of Omens and Portents so that you may be prepared for the inevitable merman attacks, roving cocktail gangs, and, of course, Ragnarok. Of course, the most famous and important section of this book is the section entitled “What You Did Not Know About Hoboes,” and I can guarantee that the information in this section will come as a surprise to most people not versed in Hobo history. There you will find out how the Hobo kings and queens come to power, what the secret agenda of these rail-riding, lint-collecting itinerants is, and learn the all-important 700 Hobo Names – invaluable for Hobo hunting or, should you be seduced into a life of riding the rails, choosing a proper name for yourself. I first saw John Hodgman on The Daily Show, where he was promoting this book, and nearly soiled myself laughing. 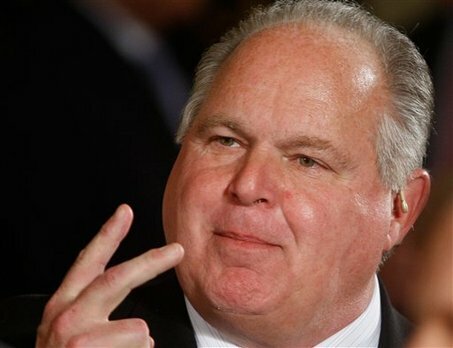 He has a completely guileless face, and delivers his words with a tone that conveys the innocent delivery of common sense wisdom, like he cannot conceive of anyone disbelieving what he’s telling us. Hodgman soon went on to become the show’s Resident Expert, where he brings his prodigious intellect to matters concerning net neutrality, elections, army recruiting and many other diverse subjects.